If there is one food worth learning to make from scratch, it’s refried beans. 1. Healthier –– Canned, store bought beans are usually full of hydrogenated oils and preservatives. 3. Better tasting — To be perfectly honest, I despised refried beans for the longest time. It wasn’t until I learned how to make them myself that I discovered that I actually love them! Homemade refried beans have a much better texture and are full of flavor. To prepare dry beans, place the beans in a large bowl, cover with an ample amount of water and allow to soak overnight. (Keep in mind that 1 cup of dry beans equals approximately 3 cups of cooked beans). The next day, drain and rinse the beans. Cover them generously with fresh water and simmer for several hours or until tender. A slow cooker works wonderfully for this as well! I like to make up a big batch of beans and freeze the leftovers in 2 cup portions. In a large pot or saucepan, saute the onions in the fat until they are soft and translucent. Add the minced garlic and cook for 1-2 minutes more. Stir in the cumin, paprika, salt, chili powder, and black pepper. Bring to a slow simmer and allow it all to cook on low heat for 10-20 minutes, stirring occasionally. If the mixture is dry, you may need to thin it with a splash of milk or water at this point. However, if you started out with extra liquid in your cooked beans, you may not need to add anything. Once the beans have cooked down for a while and the flavors have had time to incorporate, mash them with a potato masher, fork, or my personal favorite: an immersion blender. I prefer slightly chunky beans, versus a super-smooth “puree” consistency. Serve with tacos, burritos, or alongside chips as a dip. One of our favorite ways to eat refried beans is to make simple bean quesadillas with , cheddar cheese, and dipped in sour cream. Making refried beans from scratch transforms a rather boring side-dish to a flavor packed feature that just might end up being the main event on your menu. It’s worth giving them a try! Jill writes from the homestead she shares with her husband, daughter, and ever-changing assortment of animals. When she’s not in the kitchen preparing traditional foods, you’ll find her outside riding horses, growing vegetables, milking her cow, and killing rattlesnakes. She blogs at , where she enjoys encouraging readers to return to their roots, no matter where they may live. 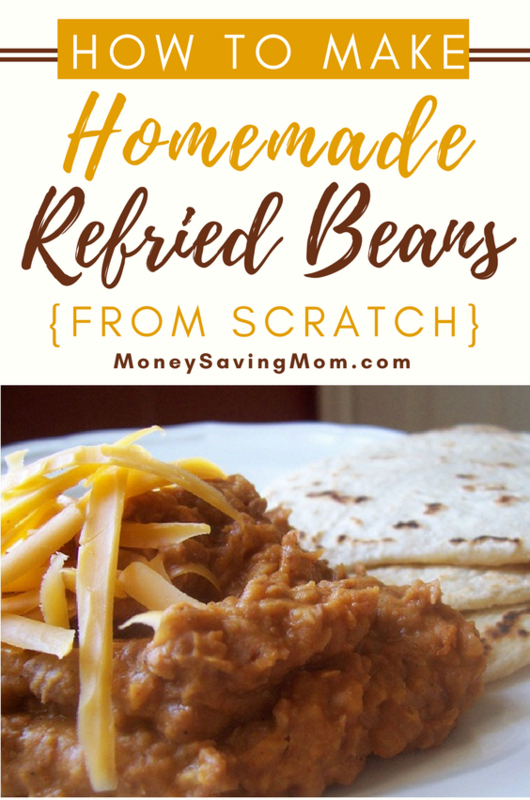 I’ve made “refried” beans in the past, and they are SO easy! When I make a batch of beans in the crock pot, I just mash them with the cooking liquid for a quick version. You can do this with either pintos or black beans. My family is content with beans as a main dish once a week because there are SO many different options in cooking them. That’s what I do to. In the crockpot with it’s own juices and a few seasonings (cumin, garlic, chili powder and salt). It’s SOOOO easy and cheap. We freeze them and pull them out as we use them. I have tried making homemade retried beans in the crock pot before, but I returned to your recipe because they were so much more flavorful!! Great recipe. I’m making them for the fifth time right now. I make refried beans in the crockpot and freeze the leftovers. I usually soak the beans for 24-36 hours with fennel seeds to de-gas and possibly sprout them before cooking. Fennel seeds de-gas them?! I had no idea! Do you cook them with the fennel seeds still in them? Nope I take them out before. I don’t know how much fennel to use , But I would try maybe a tbsp in a cheesecloth ball. That way it can be removed before cooking the beans. I know chewing on fennel seeds when you feel bloated, helps. It is also the ingedient in children’s gripe water that is used for colic. Refried beans are just something I won’t touch. Then about a year ago I made homemade ones and I was hooked! So much better than store bought! Does anyone have any suggestions on how to freeze there, as in, what kind of containers do you use? I would love to hear it! Those two cup twist close Ziploc containers are about the same size as one can. I mix mine with taco meat and freeze it that way. Stretches the meat and is more efficient when we have tacos. Do you know of the beans being canned instead of freezing after cooked? That’s great to know. I’ll try that next time I soak beans, Thanks! Vinegar also can make the beans’ husks harder to chew, as can too much salt too early. If you want to make an even healthier version of “refried” beans, smooth creamy, and thick… Make sure you only use enough water to cover the beans maybe half an inch.. And then once they’ve been cooked thoroughly, use a potato masher and smash them up and mix it all about over a low simmer. 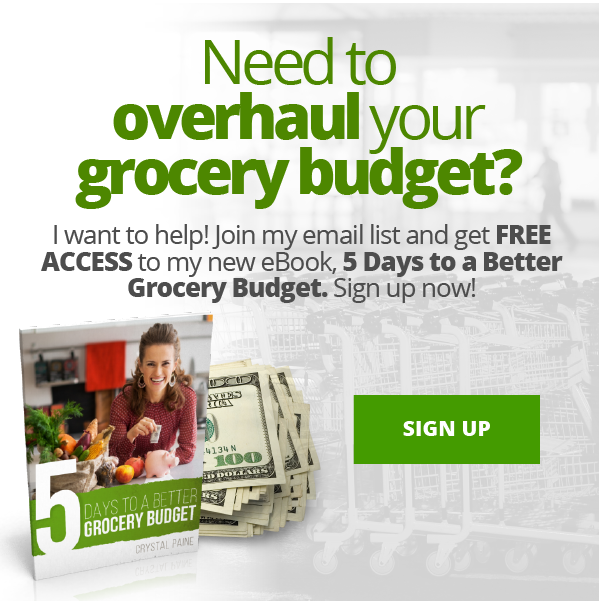 No muss, no fuss, no extra steps! Great recipe – can’t wait to try this one. I have only ever purchased refried beans from a can, and while they were quite good, I was concerned about the amount of sodium. I usually add some fresh cilantro and a squirt of lime juice if I’m using chili powder as a seasoning, though they also taste good with curry powder instead of chili (or use half and half.) These are great in wraps with rice and tomatoes too. Thanks for the post! I want to try this. never sure what to do w them. This is great! I used to be on WIC a long time ago, they gave us a bean recipe pamphlet style book. You could see if they have something similar. One of our favorite Bean recipes is called Bean Pie and it came from that book. Ever since DH got cross contamination from a can of refried beans (he’s allergic to wheat), I’ve been making them from scratch. Recently we tried black beans instead of pinto and loved it! This is timely. I’ve just set some pinto beans soaking and was going to look up a refried beans recipe online tomorrow to make. Jill’s great. 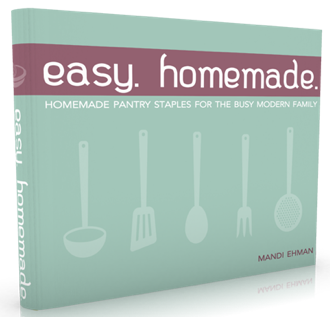 I’ve just been reading her new ebook, Your Custom Homestead. It’s fabulous. Right up my alley and so inspiring. Thanks for this. My daughter loves beans and rice like you get at the Mexican restaurant. Do you happen to have a good homemade recipe for rice like they serve in the Mexican restaurant to complement the beans? We love this rice recipe. It is similar to the rice served in a local Mexican/Peruvian restaurant. I once asked at a local restaurant (I am in Arizona) what the secret to their really creamy bean dip was, and they said mixing in a little bit of cream cheese. I do this all the time, and it is so good! Sorry, I don’t have a good Spanish Rice recipe. Thank you. You make this sound so appetizing that I want to try making them myself now too. Pinto beans on the shopping list. A few years ago we had a bunch of leftover pinto beans from a barbeque we had hosted. I’d never had homemade refried beans before, so I thought I would give them a shot. In my husband’s exact words “they make the canned stuff seem like catfood by comparison”. This looks fabulous! Thanks for sharing! My husband lovvves refried beans! I love refried beans. I add one tsp of chix broth concentrate and use bacon fat as the fat. Delish. Now I’m hungry! I have been making refried beans for a long time. I cook a pot with some chopped up bacon. When they are done I use my hand mixer to mash them up and add shredded cheese. So easy, economical and best of all so much better than the canned beans. Homemade refried beans are the best!! My favorite way to make them though is to use a pressure cooker. Often people are scared of pressure cookers, but they have electric ones now. You can go from dry beans to refried beans in less than an hour and half. Thanks so much for this recipe! I was just talking with my daughter about doing this last week and was wondering how I was going to figure out how to do it. Now I have what I need thanks to you! Got a great bargain on tortillas and now I have the filling!! We eat refried beans on a regular basis. We take the cooked pinto beans and just mash them in their own juice. We don’t add any extra lard, oil, etc. but we do love to sprinkle some cheese on top. Anyone know how long you can keep the beans once you freeze them? Like a month, 6 months, what? I really want to try this because we eat mexican food a lot. Thanks for sharing the recipe. I have taken refried beans out of the freezer after 2-3 months and they’ve been fine. I use them often enough that they’ve never lasted longer than that because we ate them. NO BACON???? A travesty!! MUST use bacon! Oh yum!! These looks delicious, Jill!! I don’t use recipes because I add species to my satisfaction. But I do add everything mentioned here (use bacon grease — yes, know that’s unhealthy). But I also add two other things 1) Fresh cilantro and 2) salsa my friend makes (which is diced tomatoes, tad of peppers). Hmm when I read this recipe I was a little confused. So I turned to my coworker and asked her how she made refried beans. Her recipe was pretty much like the one I grew up with. You add a bit of oil and hit it up. Put in the beans and mash them up. Sometimes we will get creative and add some chorizo. The fat it releases is what we use to fry the beans with. But I have never heard of adding all those spices to refried beans. In my Mexican family, and most of the Mexicans I know, it’s all about being simple. It’s a quick side dish made from very inexpensive ingredients. Veronica, since your family is Mexican any good recipes for spanish rice?? I have been making “refried beans” for a few years now. But I don’t actually “re-fry” them. I start with dried beans, soak overnight, then cook them in my pressure cooker (life saver) with chopped onion for 12 mins. Then I remove most of the liquid (save some in case I need to add it back later) add basically the same spices listed in your recipe and use my hand mixer to mush it up. So easy. Thanks for the inspiration. After reading this I decided to make a batch tomorrow. Just put beans in to soak. If using bean broth or water, would it be okay to can this recipe rather than freezing? Knowing it is EXTREMELY dangerous to can any milk product, I was just wondering if there was another reason home-canner’s could not preserve them this way. I know this is too late for this reply to this person but for those in the future who read the comment; the answer to this is you cannot home can refried beans but you can home can pinto (or other dried beans) beans. Check out one if the sites that make canning jars, like Ball or Kerr. I just wanted to let you know that I make these refried beans all. the. time. They are so delicious and easy! Thank you so much for the awesome recipe. My family and I love it! When cooking the beans in a crock pot, do I need to cook the beans first before adding the spices or can I do it altogether? As I read the end, I was eating a bean quesadilla dipped in sour cream as I was reading this recipe. Trying it now. How well do the frozen beans hold up? If I wasn’t planning on mashing them afterward and wanted to leave them as beans. Do they still taste as good, or is it really noticeable they were frozen? Making large batches of beans makes us sick to death of them before we finish the bag off, but smaller batches cause me to almost never use them. Even in a crockpot they take too long to make, but I don’t like the canned beans. I would rather make the dry ones myself. I cook beans in large batches and freeze them with no issues. I never buy canned ones anymore. Actually, olive oil is the most stable at high temperatures when cooking! How many serving does this recipe make? I’m I retested because I’m have a party with about 30 people. I need to know weather to double or triple this recipe. Thanks in advance! Hi I was wondering if bacon fat (though I know not the healthiest choice) would work for the healthy fat portion….we’ve recently discovered my 16 month old has allergies to dairy, soy, corn, tuna and coconut so it largely limits what I can use but this recipe sounds delicious! Thank you! It’s no coincidence that so many great affordable recipes are Mexican-inspired, love making refried beans for dipping chips, tacos, burritos – YUM. These are absolutely delicious! Thank you so much for sharing this recipe! Yummy! 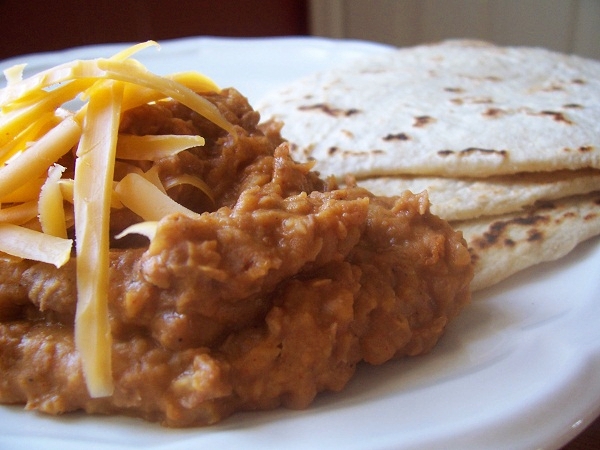 These refried beans are really easy and delicious. You probably have all of the ingredients in the cupboard. Cooking dried beans is time consuming but worth it. How long do you cook them in the crock pot? I love your recipe! I’ve been making these for years now. I just made them again tonight and I decided it was time to let you know how much my family loves these beans. There so much better than canned beans and I love that there’s hardly any fat. Thanks for the recipe! What temperature do I simmer the beans on the stove at? Is it a low boil? Cooked all…2 recipes to screw it up. Not cooked all the way… Almost. Trying to cook again stove top 4 hors or will trash it…. savior ideas?